Discourse on judicial reforms in India has tended to focus on the issues of judge vacancies and case delays, to the exclusion of other institutional issues which plague Indian courts. One such problem that has received scant attention is the lack of judicial diversity. To spark conversation on this important issue, this Vidhi Briefing focuses on one parameter of judicial diversity, namely gender. It presents, for the first time, state and district-wise data on the gender composition of the lower judiciary. These findings raise several implications, which will be examined in-depth in future reports. Through these reports, we hope to bring much-needed attention to issues concerning the lower judiciary which, despite being the first or only point of contact for most litigants, is relatively neglected in academic and policy discourse compared to the higher judiciary. We also hope to encourage conversation on additional data and research needed to understand possible causes for low gender representation and ways to rectify this. A lack of equal representation, particularly when as severe as it appears to be in India, raises serious concerns that merit deep and sustained investigation. For a spreadsheet containing the district-wise gender composition of the lower judiciary in India, click here. The Vidhi Centre for Legal Policy released its fourth Briefing Book titled ‘Towards the Rule of Law: 25 Legal Reforms for India,’ on 22nd December 2017 at the Constitution Club of India. Every year, Vidhi comes out with its Briefing Book, which covers structural legal reforms that we believe India needs. While the last few years have seen several economic reforms, critical legal reforms, particularly of a structural nature, have not kept pace. To fill this gap, Vidhi’s fourth Briefing Book looks at 25 pressing and diverse legal reforms India needs to address its fundamental governance challenges. As with all our work, the Briefing Book too provides clear solutions to the challenges we have identified. We hope that this will go some way to protecting the rule of law, if not wholly, then very substantially. A three-judge Bench of the Supreme Court initiated a suo-moto Public Interest Litigation in May 2017 to assess the feasibility of setting up a Central Selection Mechanism to make selections to the subordinate judiciary across the country. Whilst the debate on constituting such a central authority to coordinate appointment of subordinate judges is ongoing, the process in which such appointments are currently carried out remains unclear. Further, no empirical assessment of lower judiciary recruitment processes and its success in filing vacancies has been undertaken. In this Vidhi Briefing, we attempted to study how the process of appointment of judges plays out in practice, by collecting state-wise data on the appointment of District Judges, via direct recruitment from the bar and Civil Judges (Junior Division)’. Based on this information, we ranked the performance of states in appointing judges to their subordinate judiciary on two metrics - average time taken to complete a recruitment cycle and percentage of vacancies potentially filled. This Briefing provides useful insight into fault lines of the present system of appointments that must be addressed, regardless of whether the current scheme of subordinate judicial appointments is preserved or a central mechanism is constituted. Since the enactment of the Competition Act in 2002, the business milieu has changed considerably globally and in India. More and more businesses are now being run in the virtual world and newer models of business exist now which would have been inconceivable a decade ago. Given the intertwined relationship of competition law and the markets, in order for the law to remain relevant, it is imperative that it develops in line with market realities and revamps from time to time. Almost 15 years have elapsed since the inception of the Competition Act and it is now an opportune time to take stock of its performance and devise a workable way forward. In this Report, we therefore, identify key structural and procedural issues in the Indian competition law framework and discuss relevant experiences from the European Union and Singapore, to understand how similar concerns are addressed by their regulatory frameworks. 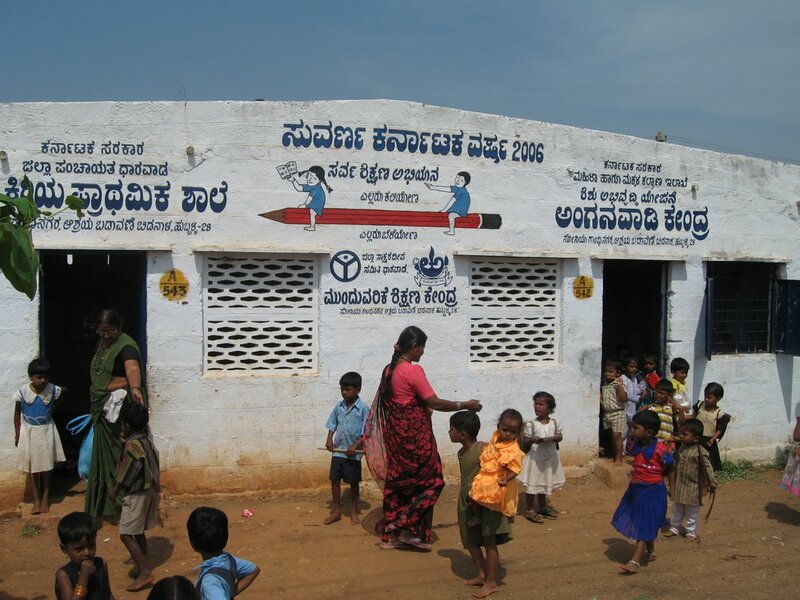 Drawing from these practices, we provide key recommendations to deal with these concerns in the Indian context. As India gears up to meet the challenges posed by a buoyant economy, it needs to cure these anomalies in its competition law framework to be able to fully reap the benefits of a thriving market based economy. Credit Rating Agencies form an essential part of the financial markets. SEBI has regulated them since 1999. However, in the years following the financial crisis, specific concerns have been raised regarding their regulation globally, as well as in India. This report highlights the concerns regarding the regulation of credit rating agencies in India, examines the solutions adopted by regulators in other jurisdictions, and makes recommendations to strengthen the regulatory framework in India. Regulation of mediation practices and frameworks is a global debate, with different facets of such regulation being the subject of numerous academic and policy reform discourses. In India, mediation was formalised as an alternative dispute resolution mechanism, and brought on the statute book with an amendment to Section 89 of the Civil Procedure Code, 1908. With more than a decade’s passage, a review of court annexed mediation in India is imperative to reinvigorate the framework with necessary reforms. In an interim report, we had studied four jurisdictions, namely Australia, Singapore, United States of America and the United Kingdom, to ascertain best practices and takeaways which may facilitate the establishment of an efficient framework for court connected mediation in India. The final report compiles and presents the data provided to us by the mediation centres at the Delhi, Karnataka and Allahabad High Courts. It also presents the main discussions covered during round table and individual interviews conducted with mediators and administrators at the Delhi Mediation Centre and the Bangalore Mediation Centre. Based on the data gathered, the report analyses the performance of court connected mediation programmes and makes institutional and legislative recommendations to strengthen mediation in India. This report was prepared in collaboration with the Department of Justice of the Ministry of Law & Justice, Government of India, and has been submitted to the Department. The final report and the data collected from the mediation centres can be downloaded from the links provided below. In India, pervasive delay in courts is typically blamed on judicial vacancies, and reforms tend to focus on long-term measures to increase the number of judges. 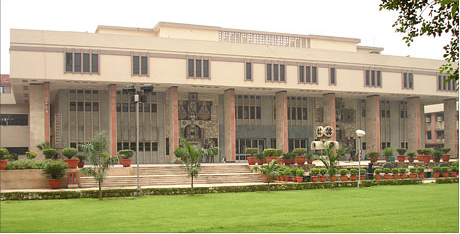 A new study by the Vidhi Centre for Legal Policy, however, uses the Delhi High Court as a case study to demonstrate links between inefficiencies in court functioning and delay, and presents clear quantitative evidence on how several kinds of inefficient behaviour exhibited by counsel or the court manifest in case delays. We found a striking 97% of cases filed in the Delhi High Court and at least 60% of hearings in the court are affected by some inefficiency, and cause cases to be delayed. To contextualise and explain the Delhi High Court’s high disposal rates in recent years, this report also closely examined cases that were disposed relatively quickly, and mapped the nature of cases and case categories that do not require prolonged adjudication. We found that speedy disposal of a case may reveal more about the case’s relative simplicity, rather than the court’s ability to handle its entire workload. To address delay and backlog, the report recommends institutional, policy and legislative reforms that focus on eliminating existing inefficiencies in functioning, measures that must accompany moves to increase judge strength and judicial infrastructure. Law-making and reform largely continue to be guided by anecdote, intuition and common sense. While there is much to commend each of these as foundations for lawmaking, without the necessary empirical evidence, laws often fail to achieve their desired results. The history of modern India is littered with failed legal interventions that took no note of, or actively disregarded, data-based research that showed that the measure being attempted would fail. The Book was launched on the 2nd of December, 2016. It can be accessed here.